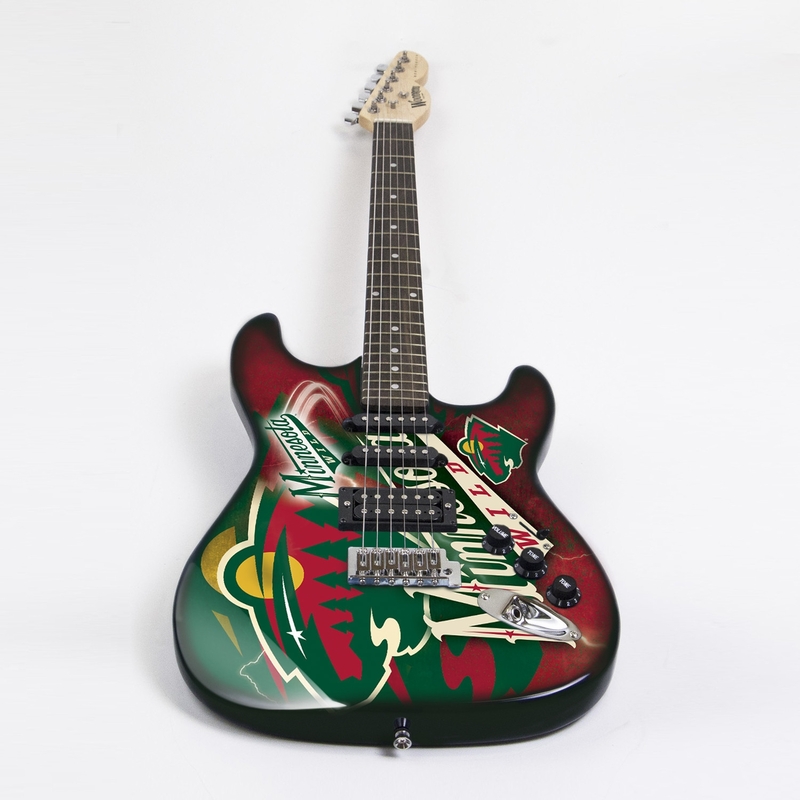 Reach for a pick and start rocking your team spirit with this Nhl officially-licensed Minnesota Wild NorthEnder Guitar by Woodrow. Each guitar is a limited-edition collectors item boasting an elegant, solid maple neck. It also features an attractive headstock extending out from a sleek, solid top body decked out in the logo and colors of the Minnesota Wild. As a true object of craftsmanship, the Minnesota Wild NorthEnder Guitar is underscored by a delicately engraved number plate below the neck on the back of the body. 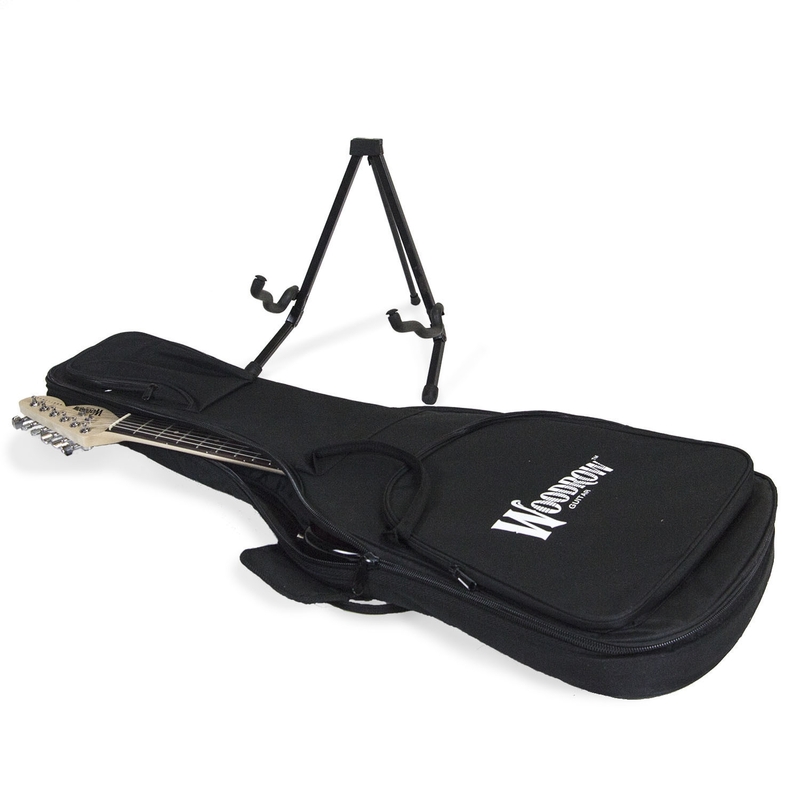 A black Woodrow-branded gig bag and guitar stand is included for travel and storage convenience. As an addition to your personal collection or as a gift for that Wild fan in your life, this untamed piece of electrical art is a smash hit. Since only 100 units of the Nhl officially-licensed Minnesota Wild NorthEnder Guitar were produced, it's vital to order yours today. Get in the game and order the Minnesota Wild NorthEnder Electric Guitar today.